The Washington State Pest Management Resource Service (WSPRS) serves as a hub for research-based information about pest management practices, including both chemical and alternative control methodologies. We serve Washington State’s policy makers, agricultural producers, research and extension professionals and Extension Master Gardener volunteers by making relevant and accurate information widely available in a timely and accessible manner. 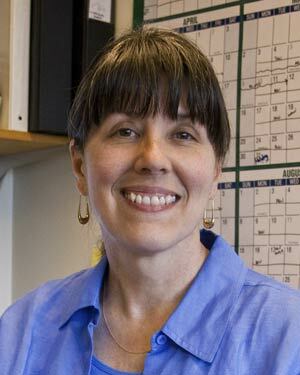 Catherine is the WSPRS Director and WSU’s Pesticide Coordinator. Her extension program focuses on the collaborative collection and dissemination of information that addresses pesticide issues at the local, state, regional and national levels. Catherine maintains WSU’s Pesticide Policy and approves all client-directed WSU publications containing pesticide recommendations. In her off-hours, she enjoys Sudoku, cross-stitch and cat jokes. Lenora is the WSPRS Manager and Extension Coordinator Specialist. 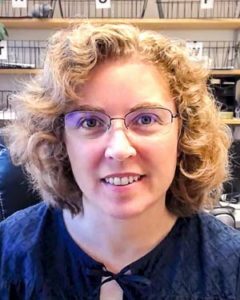 She provides technical support for the Pesticide Information Center Online (PICOL) database and serves as WSPRS’s point of contact for pesticide registration staff from the Washington State and Oregon State Departments of Agriculture. Lenora develops program SOPs, trains client groups how to use PICOL, reviews pesticide recommendations and manages the WSPRS social media accounts. In her spare time, Lenora enjoys time with her family and playing with paper or fabric.